When it comes to dental treatments, there are few things more dreaded amongst patients than a root canal. They are expensive and uncomfortable and something most people want to avoid at all costs. MedlinePlus provides a helpful description of what a root canal is and why someone would need one, “A root canal is a dental procedure to remove dead or dying nerve tissue and bacteria from inside a tooth… A root canal is done if you have an infection that affects the pulp of a tooth. Generally, there is pain and swelling in the area. The infection can be the result of a tooth crack, cavity, or injury. It may also be the result of a deep pocket in the gum area around a tooth… A root canal can save your tooth. Without treatment, the tooth may become so damaged that it must be removed.” While there are certain circumstances where a root canal simply cannot be avoided, there are things you can do that may help you avoid needing a root canal. 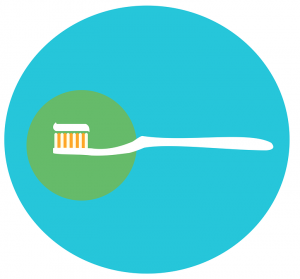 Good oral health begins with proper home dental hygiene and care. It is important to brush your teeth at least twice per day, and floss at least once per day. Further, using mouthwash can help you reduce bacteria in your mouth. But it is important to note that it is not just enough to do these things the recommended amount of times each day but to do them properly. You must brush your teeth for a full two minutes each time and employ proper flossing techniques to maximize your oral health and reduce the risk of needing a root canal. A healthy diet consistently of fruits, vegetables, grains and lean proteins with minimal sugar and acid is ideal for maximizing your dental health. Eating foods high in sugar or acid may accelerate tooth decay which then leads to root canals. Fluoride helps re-mineralize your teeth, stop tooth decay, and prevent tooth decay from occurring. Use a toothpaste that contains fluoride and receive routine fluoride treatments form your dental to help you avoid tooth decay that leads to root canals. Root canals are often needed because tooth decay has progressed so significantly without treatment or intervention that now the only option is a root canal. By receiving regular dental cleanings and consistently seeing your dentist you can reduce the risk of needing a root canal.